It’s fairly common knowledge that our skin is our largest organ and its absorbs between 60%-90% of any product and ingredient we put on it, so if we can avoid using synthetic fragrance that can wreck havoc on our health and the environment, why wouldn’t we? I have touched on the main reasons I personally chose to transition to the beautiful 100% natural, essential oil based perfumes from ONE SEED. If you are interested in learning more, I highly encourage you to further research the importance of using toxin free perfume via the links below. Choosing perfume such as ONE SEED, without artificial fragrance, means you are not being exposed to skin irritants, endocrine disruptors or carcinogens such as parabens, phenoxyethanol and phthalates which are often found in convention perfume. 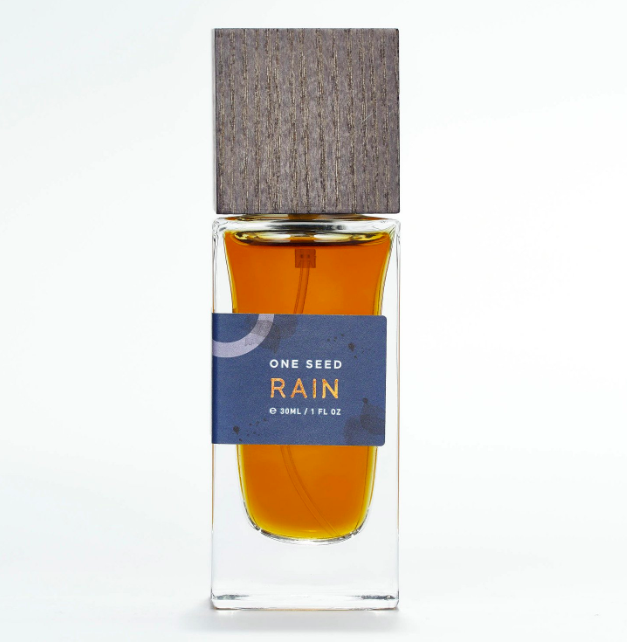 ONE SEED perfumes are made using plant essence (essential oils) which are known to have profoundly positive effect on our mind body and spirit. When the aroma of an essential oil reaches our limbic system (which is responsible for emotion, learning and memories) they can help support us emotionally and assist overcoming stress and hormonal balances too. A sparkling opening of pink grapefruit and spiced pink peppercorn with a soft rose heart, and a delicate skin-musk dry-down. Freedom is inspired by the beauty found in simple things, and the light in your heart when you believe that anything is possible. 85.6% certified organic, cruelty-free and 100% natural. Invigorating, alluring. The scent of anticipation. A cleansing downpour. The smell of the cool air making contact with a parched earth, petrichor. Wet flora and dewy skin. A fragrance both clean and pure, as replenishing as rain. NOT SURE HOW TO CHOOSE A FAVOURITE? Use the code SHESANATURAL at checkout for 2 free samples (valued at up to $30) with product purchase over $45. Simply add the 2 samples you' d prefer to your cart and apply the code at checkout.